Have you been craving some island time? Are you in desperate need to trade the city streets for a warm beach? 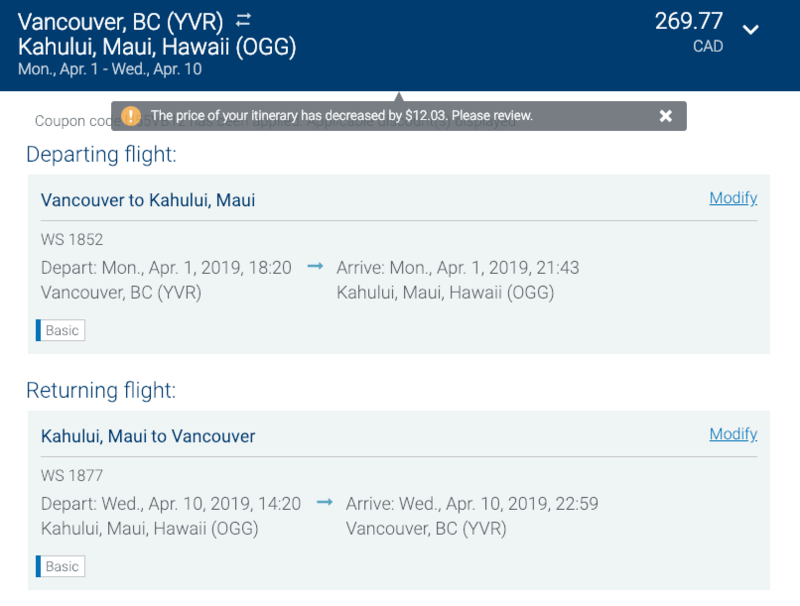 WestJet is hosting their annual winter sale and as such, prices of flights from Vancouver to Maui, Hawaii have been reduced. 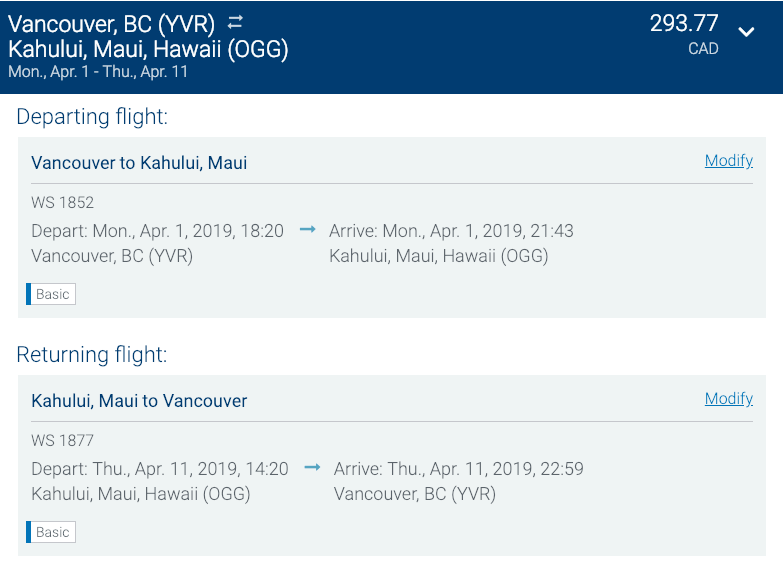 Thanks to YVR Deals, you can now fly from Vancouver (YVR) to Kahului, Maui, Hawaii (OGG) for under $300 roundtrip. You can also find flights to Kauai, Honolulu, and Kona, for similar prices. 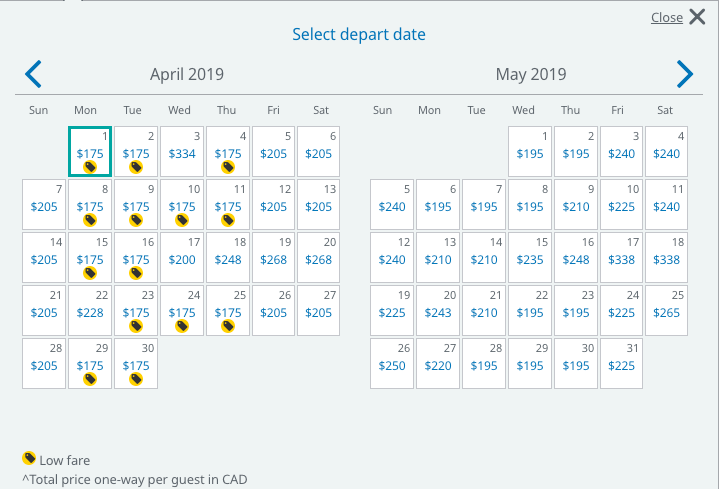 The majority of the flights are available in April, however, a number of dates can be found in January, February, and March. Flights around this time of year typically cost anywhere from $450 to $550, or more. Each leg of the flight is non-stop and approximately six hours in duration. 1. Visit the WestJet website. 2. 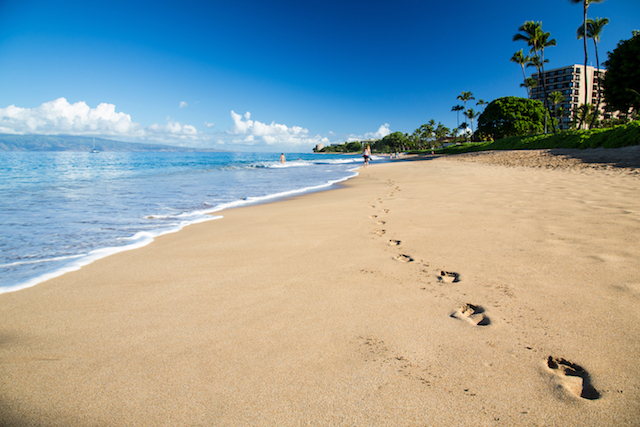 Enter your departing and returning destination as Vancouver (YVR) and Kahului, Maui, Hawaii (OGG), respectively. 3. Look for dates that have the yellow price tag. 4. Proceed with your booking and select the flights accordingly. Note: WestJet has also offered a 15% off discount code to their email rewards subscribers. You can find slightly cheaper flights by entering the code below. In order to use the discount code, you must book by 10:59 pm PST.